On the latest episode of The Jim Ross Report, WWE Hall Of Famer Jim Ross welcomed lucha libre legend Rey Mysterio to the podcast. Among many other things, Mysterio talked about impending return to WWE as well as his landmark 2018, working spots for WWE, NJPW, and independent promotions around the world. 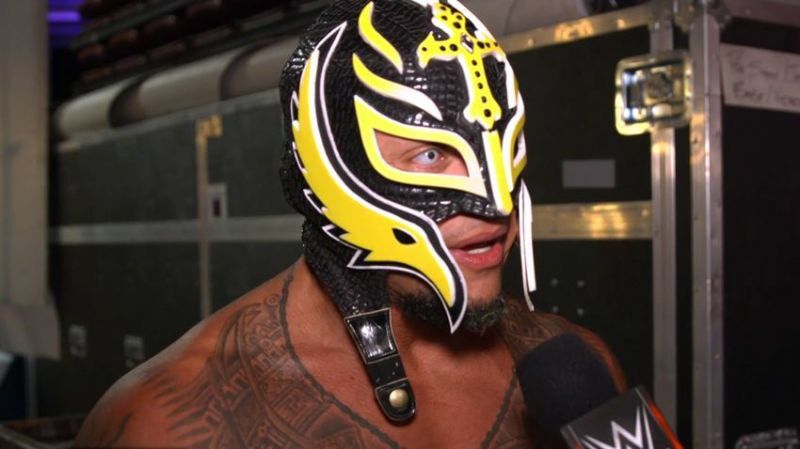 On the subject of possibly returning to WWE, Mysterio said that talks about another run at Titan Tower began as the two sides negotiated Mysterio’s surprise Royal Rumble appearance. Apparently, they are still going back and forth on a return date and ‘The King Of Lucha Libre’ will continue taking outside bookings until a return date is decided upon. With respect to Mysterio’s historic 2018, which has already included being a surprise entrant at WWE Royal Rumble, working The Greatest Royal Rumble, debuting for NJPW at Dominion, and main eventing All In, ‘The Master Of The 619’ pointed out the year is not over yet.